Thick-Skinned Lara take less damage from enemy gunfire and melee attacks. Effect is cumulative with the Heart of Stone skill. Very useful if you're playing on higher difficulties. Efficient Killer Enemies killed while in stealth will be automatically looted for resources. A lower priority skill. Dodge Counter Incapacitate unarmored enemies while dodging. Effective against most enemies. As you take Dodge Kill and Dodge Kill Mastery, this skill leads to powerful things down the line. Duelist Reflexes Increased timing window available for a Dodge Counter and earn extra XP when successfully performing a Dodge Kill. Increased timing window which makes it easier to pull off Dodge Counter moves reliably. Fast Healer Bandage wounds more quickly. Effect is cumulative with the Field Medic skill. Very useful skill on the higher difficulites. You get this by opening the Codex inside the House of the Afflicted Challenge Tomb on the north side of the Geothermal Valley. Inner Strength Health is instantly restored once per combat encounter when critically injured. You gain this skill automatically by opening the Codex inside the Voice of God Challenge Tomb in the Soviet Installation. Iron Hide Decreases damage taken from fire and explosives. Higher difficulty: becomes more valuable. It’s a must-have on Survivor difficulty. Deadly Force Stealth finishers are much faster and kill enemies with brutal force. Great, if you prefer melee takedowns. 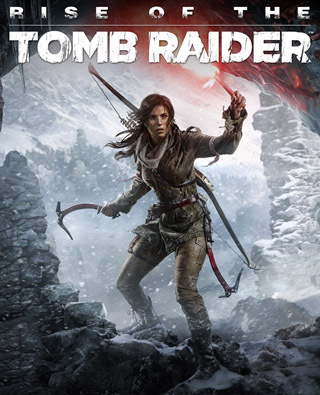 When combined with the Silent Killer skill, Lara becomes a force of the wilderness. Dodge Kill Kill unarmored enemies during a Dodge Counter. You have to take this, once you’re investing in the line of Dodge skills. Stealth Landing Landing from jumps and drops is always silent and generates no noise for enemies to detect. Perfect for any stealth player. Used with the Deadly Force skill Lara becomes a predator. Field Medic Bandage wounds more quickly. Effect is cumulative with the Fast Healer skill. Extremely useful on higher difficulty modes. Death From Above Knife kill foes instantly when leaping down on them from above. More important for players who prefers stealth. Heart of Stone Take significantly less damage from enemy gunfire and melee attacks. Effect is cumulative with the Thick-Skinned skill. Purchase this very useful skill as soon as Tier III skills unlock, unless you’re not getting hurt often. Dodge Kill Mastery Instantly kill armored enemies during a Dodge Counter. By using this skill you can take out Deathless when they go after you in melee. Adrenaline Resist damage from enemies for a short period of time after a successful stealth kill. Amazing for eliminate groups quickly. Silent Killer Stealth kill enemies without alerting nearby foes. Great to trash people who are standing close to each other and haven’t spotted Lara yet. Strong Medicine Resist damage from enemies for a short period of time after bandaging wounds during combat. Another skill which is very useful on harder difficulties. Arrow Retrieval Gain a chance at recovering arrows when looting enemies killed with a bow. Unnecessary for most players. You can get/craft plenty of arrows already. Breath Control Increase steady aim time on bow charged shots. By this skill it's easier to get better headshots. Scavenger Increase the amount of ammunition looted from enemy corpses. More useful in the early game, so buy this skill as soon as possible. Animal Instincts Animals glow when using Survival Instincts. Larger animals leave footprints and blood trails that are easy to follow. Take this skill only if you have trouble spotting animals, because hide collection is a major part of the upgrade cycle. Master of the Land Reveal when exotic animals are nearby and pinpoint their location using Survival Instincts. Useful if you're looking for exotic animal hides. Anatomical Knowledge Sense the location of animal hearts using Survival Instincts for a chance at inflicting massive damage. You find this in the Codex of the Catacomb of Sacred Waters Challenge Tomb on the east side of the Geothermal Valley. Useful, but doesn't apply to bears or large cats. Geologist Mining ore veins yields more Magnesite and can also recover Chromite Ore. You can learn from the Codex of the Pit of Judgment Challenge Tomb in the Geothermal Valley. Without this skill, you can never gather chromite, which is used to upgrade weapons and craft armored outfits. Double Shot Simultaneously fire up to two arrows at separate locked targets while zoomed-in with a fully drawn bow. While zoomed-in with a fully charged bow shot, multiple targets can be locked by holding aim over them for a short period of time. Red lock symbols indicate locked targets. When released, arrows will strike multiple enemies simultaneously. Combine with Triple Shot and True Shot skills to become the ultimate sniper. Nerves of Steel Fully charged bow aiming remains steady for significantly longer. If you feel like you need more time to aim, combine this with the Breath Control skill. Dead Eye A headshot indicator will appear when successfully aimed over an enemy's head. This helps you perfect your aim, and it's also good to know when you're on-target for a headshot. Finesse Earn bonus XP for successively chaining headshots, stealth kills, or Death From Above kills. Longer chains increase bonus multipliers. It should be one of your first Tier II purchases. Chains of headshots and stealth kills earn you a huge amount of XP. Naturalist Increase the amount of natural crafting resources gathered from each source. In a nutshell: a time saver skill. Survivalist Increase the amount of man-made crafting resources gathered from each source. Combine this with the Naturalist skill and get the most crafting items out of your time. Ancient Abilities Quickly fire two successive arrows without delay. Cannot be used simultaneously with Double / Triple Shot. You can gain this skill from the Codex of the Ice Ship Challenge Tomb. Good for killing enemies with helmets. Triple Shot Simultaneously fire up to three arrows at separate locked targets while zoomed-in with a fully drawn bow. Quickly shoot up to 3 successive arrows without the delay of redrawing from the quiver. Zoom in and charge your bow attack while locking in up to 3 targets. By the True Shot skill this becomes the best sniping combo in the game. True Shot Locked shots for Triple Shot now automatically target heads instead of bodies. See above (Triple Shot) and use a high-damage bow to get the most out of this skill. Bow Expert Execute a close range bow finisher and improve chances of looting special arrows from enemies. Earn more XP by using these type of kills. To execute incapacitated enemies when you have the bow out, press the Melee button. Pistol Expert Execute a close range pistol finisher and improve chances of looting hollow-point bullets from enemies. Earn more XP by using these type of kills. To execute incapacitated enemies when you have the pistol out, press the Melee button. Rifle Expert Execute a close range rifle finisher and improve chances of looting grenades from enemies. Earn more XP by using these type of kills. To execute incapacitated enemies when you have the rifle out, press the Melee button. Shotgun Expert Execute a close range shotgun finisher and improve chances of looting incendiary shells from enemies. Earn more XP by using these type of kills. To execute incapacitated enemies when you have the shotgun out, press the Melee button. Classically Trained Increase the number of arrows that can be rapidly shot without redrawing from the quiver to three. You can gain this skill from The Orrery's Codex. It lets you rapid-fire arrows against an enemy by pressing the Fire button several times in quick succession. Faster crafting of throwable objects and ammo when on the run. Less useful yet good to get at a later point of the game. Enemies killed or knocked out from crafted handheld objects yield more XP. A situational skill. Craft explosive bombs from red gas cans and deadly proximity mines from enemy radios. Craft proximity mines from walkie-talkie radios found in the world and collected from fallen enemies. Once a radio proximity mine is thrown, it will lure any nearby enemies towards it then explode when they get close. Land safely without damage from substantial heights. Press the Roll button when landing. Unless you like taking the slow way down, purchase this skill early and use it often. Earn bonus XP from Survival Caches, Documents, Relics and Challenges. The sooner you grab it, the more XP it gives you. Find Challenge objects more easily using Survival Instincts. Useful for spotting what you need to interact with while completing Challenges. Climbing on rock and ice surfaces is significantly faster. This ability is rewarded by opening the Baths of Kitezh Challenge Tomb's Codex on the northwest side of the Geothermal Valley. Craft large capacity ammo and resource pouches at base camps and increase the amount of ammo crafted on the run. Helps during bigger battles where your ammunition supplies are tested the most. Craft traps on enemy corpses that detonate a deadly poison gas cloud when investigated. If other enemies investigate a trapped corpse, the trap will detonate, releasing a silent poison cloud that will take out any nearby enemies without alerting other foes. Craft explosive grenades for the rifle grenade launcher that inflict heavy damage and destroy metal barriers. Once you purchase the Grenade Launcher from the Supply Shack, this skill lets you craft powerful ammunition for the rifle. Craft high-damage pistol bullets that expand on impact for increased lethality. Fragmenting pistol rounds that do increased damage. Mine plenty of ore to craft hollow-point bullets. Craft incendiary shotgun shells that wreak havoc by lighting enemies on fire and igniting other flammable objects. Incendiary shotgun shells that ignite burnables and unarmored enemies. Also perfect for taking out mobile targets. Increases detonation radius of crafted explosives and explosive arrows. Pair this skill with Incendiary Bombs and Resourceful Combatant for the best detonations. Improved Survival Instincts cause nearby traps to glow automatically. You gain this ability automatically by reading the Red Mine Challenge Tomb's Codex in the Soviet Installation. Reveal where nearby natural crafting resources are located, both on the map and while using Survival Instincts. You get this skill after reading the Codex of Ancient Cistern Challenge Tomb in the Soviet Installation. Jam climbable broadhead arrows into soft wood surfaces while Lara in mid-air. This skill makes it easier to use climbable arrows without much setup time. Survival Instincts shows nearby relics, docs, monoliths, and strongboxes—even through solid walls. Crypt entrances are revealed on the map. If you'd like a 100% completion without using maps to find the collectible items, this might come in very handy! Upgrade fire arrows to increase the range of the fire burst that erupts on impact. Increased blast of fire. Increase the size and duration of the poisonous cloud created by poison arrows. Thanks to this skill you'll be able to kill bears, Enforcers, Defenders and Deathless easily, even on harder difficulties. Upgrade grenade arrows to disperse additional explosives on impact. Useful, yet dangerous. Good advice: try not to run into your own explosions. The flames from Fire Arrows and Molotov Cocktails do more damage and are hot enough to burn through enemy armor. You can gain this skill from the Chamber of Exorcism Challenge Tomb's Codex in The Lost City. By this ability you'll be able to take down group of enemies in no time.